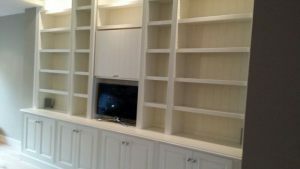 TV and media furniture basically are cabinets or bookcases where we design and integrate practical solutions around the TV and your media and other equipment. 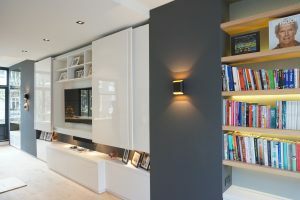 Those cabinets can be delivered in any style: modern to classic. The quality is high and durable materials are used. 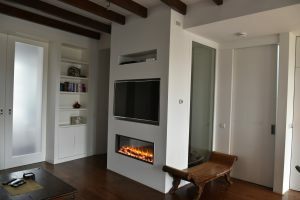 The most important is that we will integrate the newest trends and systems for the TV into your cabinet. 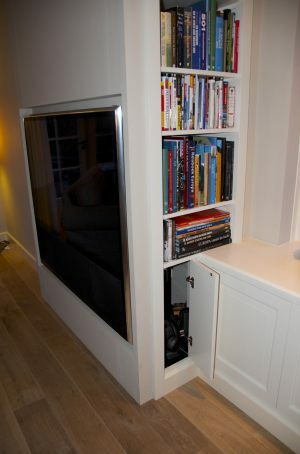 Through our preferred suppliers we can deliver TV lift systems, special sliding panels or pull up systems. 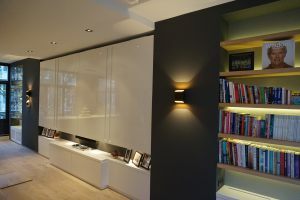 MY house also designs special walls with spaces designed for the TV and simple cabinet spaces. Everything designed to your wish. MyHouse works out the total 3D and 2D design until it is to your wish. Examples are available in the showroom and on the website gallery. Measures are no problem. 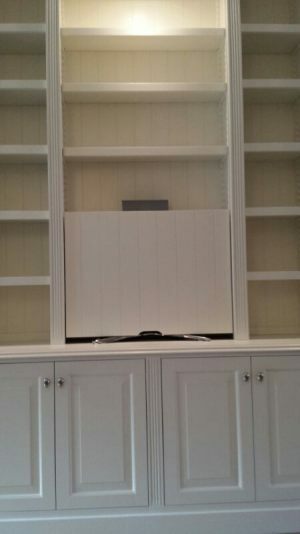 Very high cabinets or special corner solutions are a specialty. Please let us know your wishes and measurements or make an appointment in our showroom. We can also visit you on location for a free and personal advice.